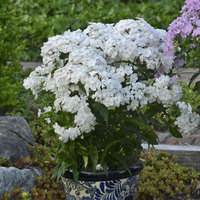 Try this lovely lady to add a splash of feminine color to your summer garden. 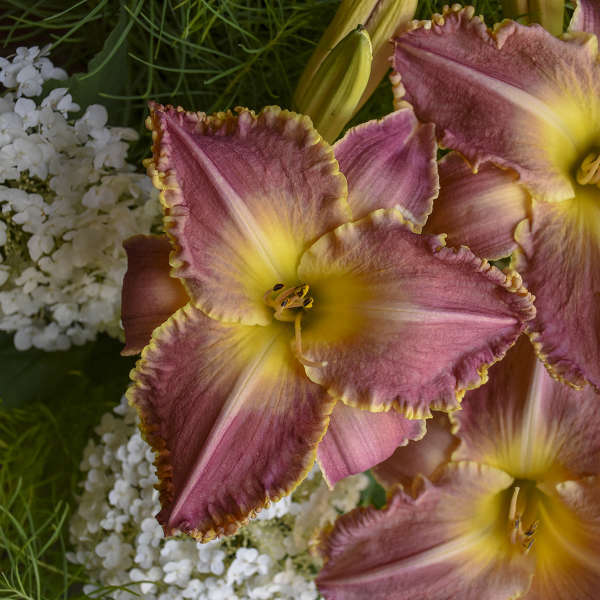 6”, lavender flowers are strongly fragrant, with a frilly, ruffled yellow picotee edge and a prominent creamy yellow throat. 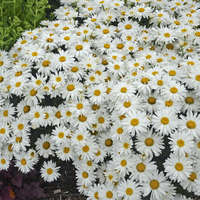 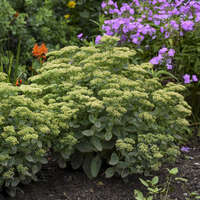 The lighter color midribs accentuate the star-shaped flowers. 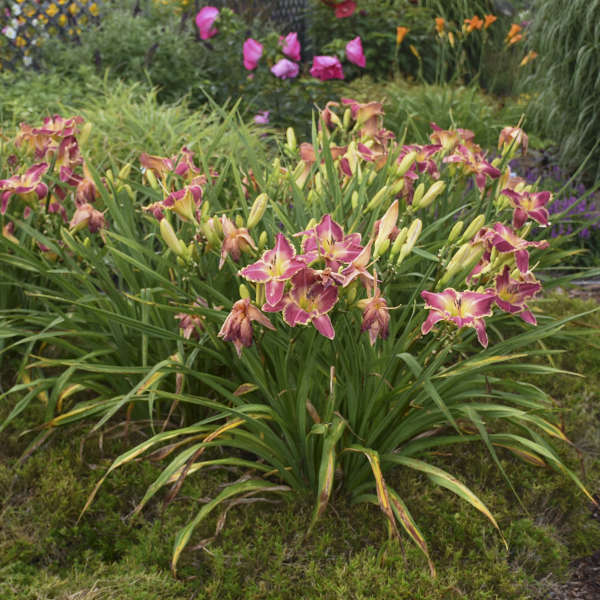 According to daylily expert Arthur Kroll, this variety is very similar to Silver Stout Winner ‘Ida’s Magic’, but is a much stronger grower. 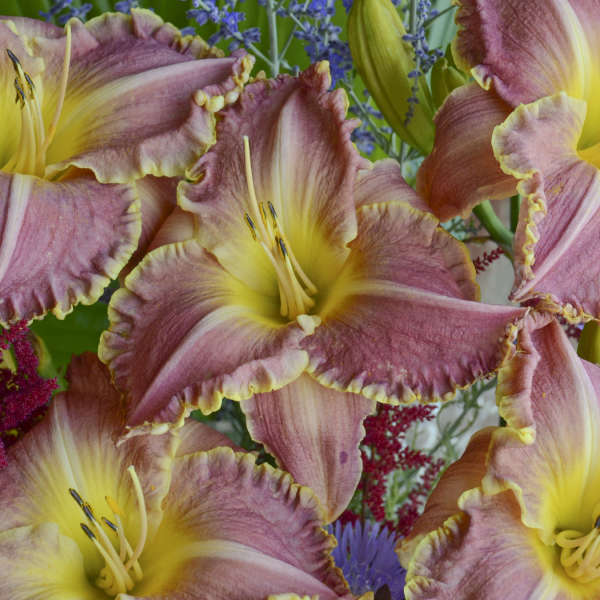 This daylily has strong, well-branched scapes with lots of buds for an explosion of boom in midsummer.